You’ve studied, you’ve prepared, and now test day is here! Here are the top Praxis tips for test day. You actually don’t need to bring a pencil to the test, and cell phones are strictly forbidden. Make sure to read up on what things you should include in your test day bag. This sounds silly, but clothing is one of my top Praxis tips for test day! It is hard to focus if you are too hot or too cold! Dress comfortably and include extra layers that you can put on or take off if your test room is warm or cold. The same goes for comfort in clothing: try not to wear anything too binding or itchy on test day. We all get nervous, and big tests can be stressful! Remember that you have done all you can to prepare. Make sure to get a full night’s sleep for 2 nights preceding the test and eat a nutritious breakfast the morning of test day. All of that will help keep nerves at bay and help your brain perform at its highest level. 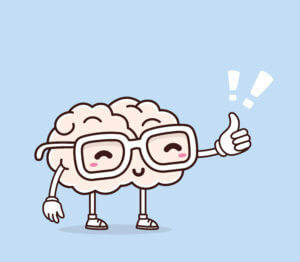 Go, brain, go! Did you know that you don’t get penalized for guessing on the Praxis? That means that even if you aren’t positive what the answer is, you should make your best guess rather than leave it blank. There are a lot of questions on the Praxis, and you only have a limited amount to figure out your answers. One of the best Praxis tips for test day is to keep track of your time and use it wisely. Pay attention to how much time is allotted for each section. Then, figure out how much time that gives you for each question. If you aren’t sure of an answer, make your best guess and mark it to come back if you have more time. If you have extra time at the end of a section, use it to double-check your work, especially the questions you weren’t sure about. The study companions from ETS can help you figure out how much time to expect. Of course, no Praxis tips for test day can overcome a lack of preparation ahead of time. Make sure you have done your best to study and review the material and take a few practice tests. After that, the hard work is done! Relax and do your best. I’ve got my fingers crossed for good test day luck!